Are You Installing a Wood Stove? - Begin Prepping Now!! Are You Installing a Wood Stove? I was recently contacted by someone with questions about what else you need when installing a wood stove. There is an old adage that says putting up wood warms you four times(cutting, splitting, stacking and burning) So this is a primer on all the things you need when you decide to burn wood. You need good wood. Wood that is dry is very important. You can get good seasoned wood or you can get green wood and season it yourself. Seasoned wood just means well dried. It usually takes a year to dry out a green tree’s wood. You need a good set of tools to put by the stove. You can buy tool sets. I bought a rack that holds my paper, kindling and tools in one. You should have a poker and a shovel at the very least. You need a metal bucket to put ashes in when you clean the stove out. One with a metal lid is the best. Always make sure ashes are cold before you throw them out. You need a chimney brush with handles. There are round and square brushes, and handle extensions. Choose the shape and length that fit your stove’s chimney. The handle should be at least four feet longer than the chimney so you have something to hang on to. It is also a good idea to get a good ladder to get on your roof. Don’t mess around with a ladder that is too short or rickety. You need to be able to get on your roof safely. You need a small hatchet or ax to make kindling out of larger pieces of wood. You should also get a whetstone to keep your tools sharp. Make sure you learn how to use them well. It’s not hard, but it is a skill that needs practiced. You should also have a pair of good leather gloves for each member of your family. You need a box to keep papers in to be burned. You can use just paper or you can buy or make firestarters. I also have a kindling box. You need a fully charged fire extinguisher. Hopefully you will never need it, but you should have it. A carbon monoxide tester is also a good idea. You should have a long handled splitting maul and a splitting block. Even if you buy your wood split, occasionally you will find a piece too big for your stove. You should also have a bowsaw. I would get a chainsaw and learn how to use it. It can be intimidating, but if I can do it anyone can. Just be careful! If you are just doing a bit of wood, you can get by with a chainsaw and a maul. 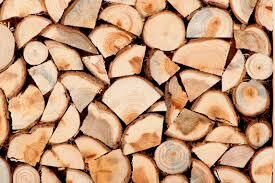 But if you are going to put up wood efficiently you should consider a hydraulic log splitter. We have a splitter and it saves a ton of time and effort. With a splitter, a smaller person or an older person can still put up wood. Even if you are young and strong, you can get more done and get on to a different project. Without one, you must rely on someone else to split wood. A maul is too heavy and awkward to be used well by a weaker person. As I look around my house and yard, these are the things that we use every year to put up six or more cords every year. Having a wood stove is a lot of work, but it is satisfying to enjoy the efforts you have put in. Besides, a wood stove set up properly will be source of heat, a way to cook, purify water and melting snow. It is insurance against many issues. I hope this helps you when you are installing a wood stove.